Jeremy is a former Freemantle Councillor and former Leader and Deputy Leader of the Conservative Group on Southampton City Council and Shadow Cabinet Member for Childrens’ Services and Learning. Previously, for 4 years, Jeremy was Cabinet Member for Resources and Finance, with lead responsibility for the city’s £500m budget. In 2010 and 2015 Jeremy was the Conservative Parliamentary Candidate for Southampton Test where he slashed the Labour majority. Jeremy represented the city council on the Hampshire Police Authority for 2 years and also previously served as a member of the Hampshire Fire and Rescue Authority. Jeremy is a strong advocate of elected police commissioners and is campaigning to protect local policing in Shirley and Portswood. 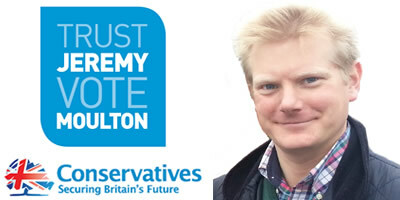 Jeremy is passionate about education and is a school governor for Freemantle Academy and Lord’s Hill Academy. He was instrumental in securing £35m of investment for two new city academies and in keeping the Civil Service Sports Ground in Shirley safe from developers.